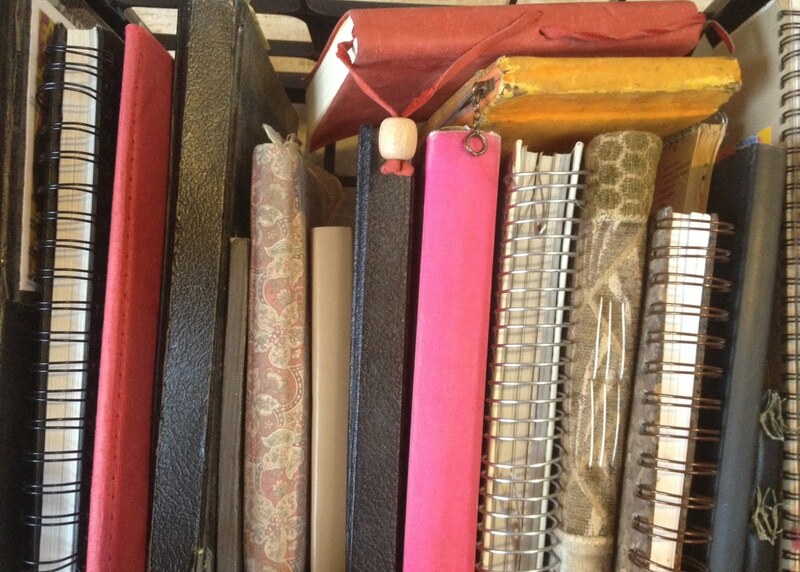 Notebooks are great for recording ideas and research, writing first drafts of poems and scenes, for sketches and doodles. But there comes a time in the life of a big writing project when an author needs to get organized. That's when I go for the binder. 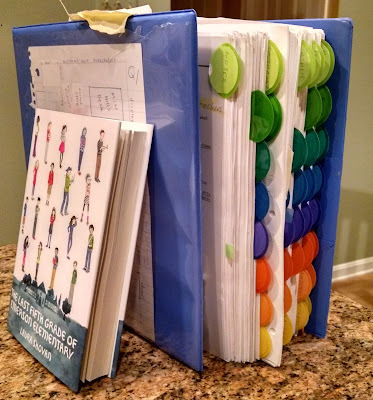 When Amy asked me to put together a post about constructing THE LAST FIFTH GRADE OF EMERSON ELEMENTARY, I knew that the centerpiece of the post would be my big, giant binder of revisions. 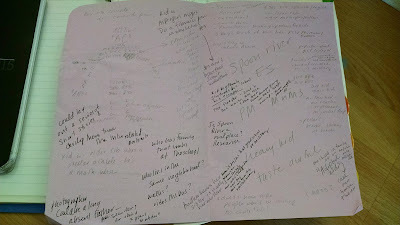 However, my novel in verse started small -- as a page of scribbled notes (and one important doodle) on the back of a writing conference handout. Here is the story, from scribbled notes to my new book. I read SPOON RIVER ANTHOLOGY during my first year of teaching high school English. The class was “Literature About Society.” I loved the layers of this verse novel, published in 1915. Each poetic monologue adds to the nuanced view the reader has of a small town outside of Chicago. … my son’s fifth grade year. I was active at his school and knew his friends, his teacher, and observed many little details about their class. The summer after Robbie moved up from fifth grade, I was at a local SCBWI conference. 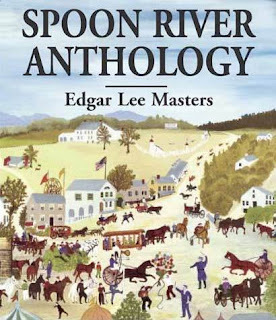 Agent Stephen Barbara and I had a conversation about SPOON RIVER ANTHOLOGY, a book we both loved. 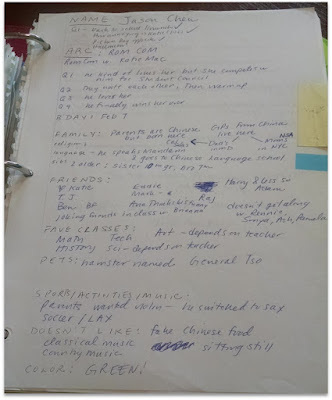 That night, I sketched out the initial ideas for my book. You can see above where it says “Spoon River ES.” On the left is a sketch of a concrete poem in the shape of a boy – one of the few things on this sheet that exists in the finished book. Initially, I stuck close to the structure of Spoon River. 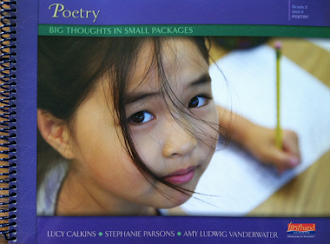 I developed a collection of 30 poems, each in the voice of a student in one fifth grade class. There was no true plot, but together the poems were a portrait of a year fifth grade. When I received feedback, readers liked the voices but didn’t understand what this was. It wasn’t a novel yet. Over several years, I developed the characters. Above you can see a bio-sheet for one student: Jason Chen. It lists his character arc, what happens to him in each quarter of the book, facts about his family, who his friends are, what activities he likes. I have a sheet like this for every character. I created spreadsheets and lists and kept writing. The book went from 30 pages and 30 characters, to 50 pages, and finally 150 pages and 20 character when it sold. It was like working on a jigsaw puzzle with moving pieces. 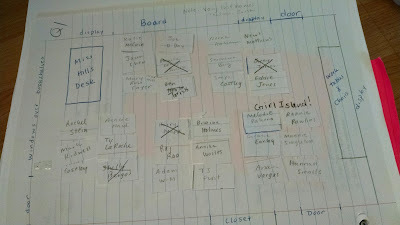 One of the ways I kept track of the voices was by making seating charts. This is an early one. Some of these characters were cut from the book. Working on revisions with my editor meant cutting two more voices and overhauling the book again. Above you can see the giant binder where I kept drafts of all of the poems. Each tab represents one character. Every time I worked on a major revision, I pulled the book apart and focused on one voice at a time, so that each character’s voice sounded consistent and true to him or her. Then I reconstructed the order of the poems. Despite cutting two voices, the book grew to 180 poems during this final phase. 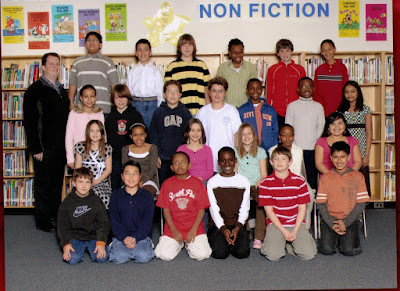 Almost eight years later… THE LAST FIFTH GRADE OF EMERSON ELEMENTARY made its debut. It was a team effort, with lots of help from my agent, Stephen Barbara, my editor, Wendy Lamb, and the team at Random House Children’s Books. 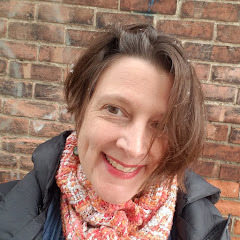 Laura Shovan is former editor for LITTLE PATUXENT REVIEW and editor of two poetry anthologies. Her chapbook, MOUNTAIN, LOG, SALT AND STONE, won the inaugural Harriss Poetry Prize. Laura works with children as a poet-in-the-schools and was the 2015-2016 Howard County Poetry and Literary Society's writer in residence. 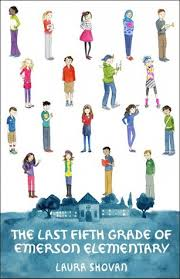 THE LAST FIFTH GRADE OF EMERSON ELEMENTARY is her debut novel-in-verse for children (Wendy Lamb Books/Random House). Laura has generously offered to send a signed copy of THE LAST FIFTH GRADE OF EMERSON ELEMENTARY to someone who comments on this post. Please leave a comment, including a way of contacting you should you win, by Sunday, May 22, to be entered into the drawing. Hang in there! Verse novels take a lot of care. Worth the effort, though. You're an inspiration to all who have a WIP, & still realize that more needs to be done, more to be organized, more time spent "knowing" each character, Laura. I do love the book, have re-read some of the parts because I loved particular parts, especially about those discovering they have friends. It can be lonely in school without someone to count on. Thanks for sharing this journey. Don't put me in the drawing either, already have this wonderful book. Thanks Amy, too! You're welcome, Linda. Thank you for the comment. I'm happy to share. Couldn't have stayed encouraged without writing friends. So looking forward to reading Laura's debut! I was fortunate to attend her workshop in March, and it was wonderful! 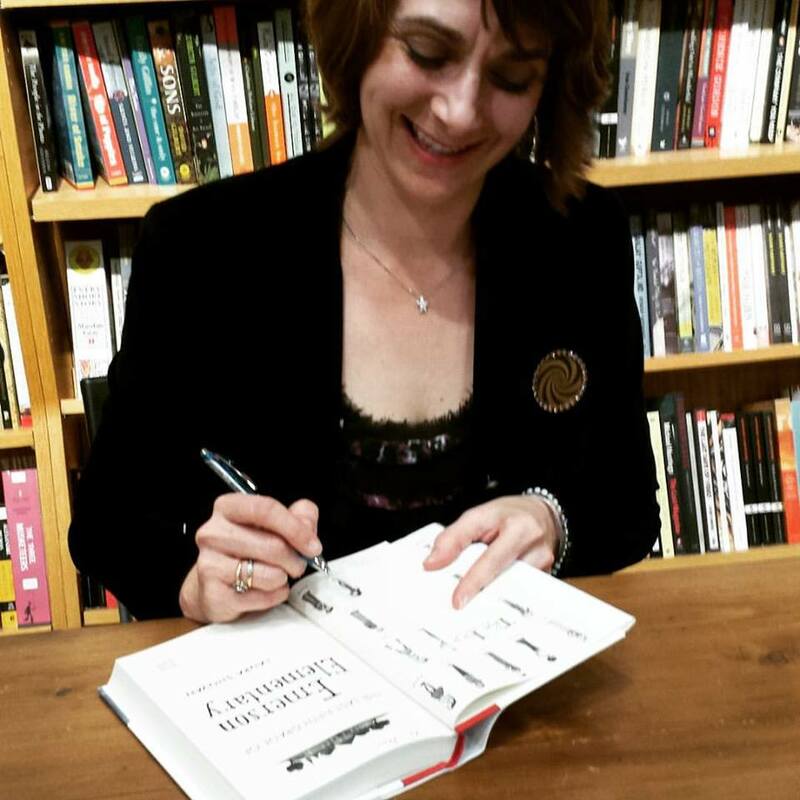 Thank you, Laura, for giving us this glimpse of how you created your wonderful book. I love that giant binder! It's encouraging to those of us with our own WIPs to know that with patience and perseverance all the hard work can pay off. That is SO impressive. Thank you for the peeks behind the scenes, Laura (and for featuring, Amy!) My copy has been patiently waiting for me to slow down long enough to read it, and I'm excited to dive in. Congrats on all the wonderful reviews, too! You exhibit traits we all admire and strive for! What a great blog post! This book gets my attention. It was fun to hear how it developed. I hope you do, Mary Lee! I'd love to read a novel in verse by you. Thank you for sharing this, Laura and Amy. This is priceless. Seeing the persistence and belief makes my heart sing! SHOVAN POWER!!!!!! 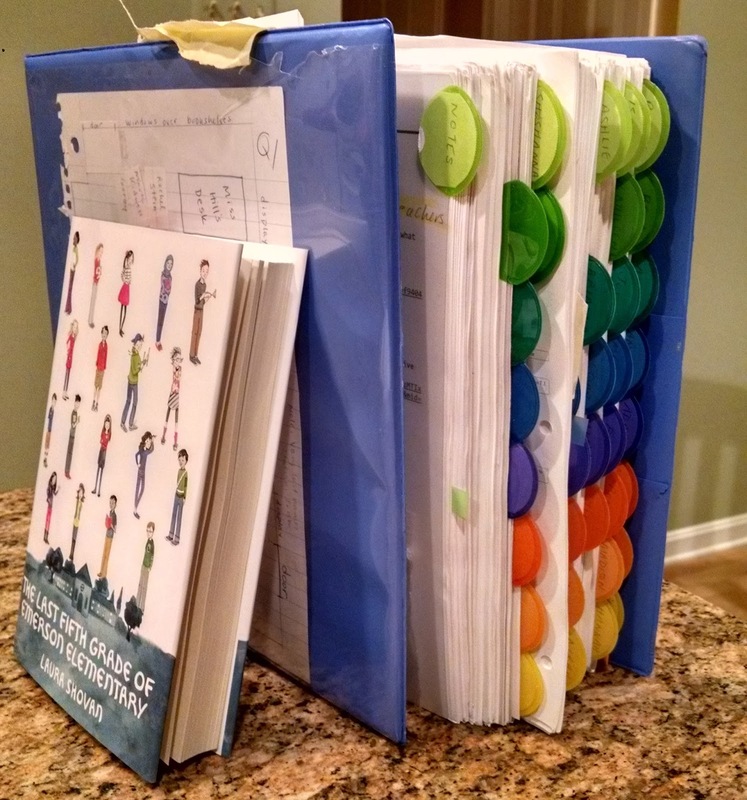 I love the idea about a binder to keep drafts for revising and moving around. However, this post meant more to mean in the reading world and I wanted to share the inspiration. For the past couple of years, I have been using the book Because of Mr. Terupt to teach character arc and character motivation to my fourth graders. 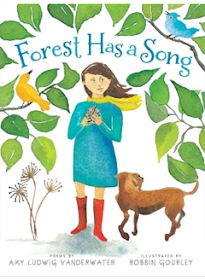 They love this book and are able to connect with the many characters because they are found within every classroom. As soon as I started reading about The Last Fifth Grade at Emerson Elementary, I knew I was going to have to have it! Someone once told me that the true test of student transfer was if they could do the work with poetry. Knowing how the students connect with Because of Mr. Terupt, I know that this is the piece I have been missing. I can't wait to use these two books together this year and see how much farther the students are able to go. Thank you for sharing!